As a lifelong cheerleader, Lola Amos tends to root for the underdog; she has always been a true encourager at heart. This conviction stems from her own childhood experiences, where she learned that no matter what economic status a person is born into, education is a gift that can provide hope, break down barriers, and level the playing field. Most of Lola's academic training and professional work experience has focused on the development of socially and economically disadvantaged youth and families. Prior to her role as Director of Programs at Prevention Works, Lola served with the Kalamazoo County Department of Human Services, Foster Care Unit, for over 13 years. Lola is a native of Southwest Michigan; born and raised in Grand Rapids, MI. She, her husband, and two sons have resided in the Kalamazoo area for over 19 years. In her spare time Lola enjoys celebrating life with her family and friends, appreciating foods from different cultures, and cheering for Prevention Works on the kickball field. GO TEAM!! ​In my role as the Director of Programming, I am responsible for setting the right tempo for the success of the team. 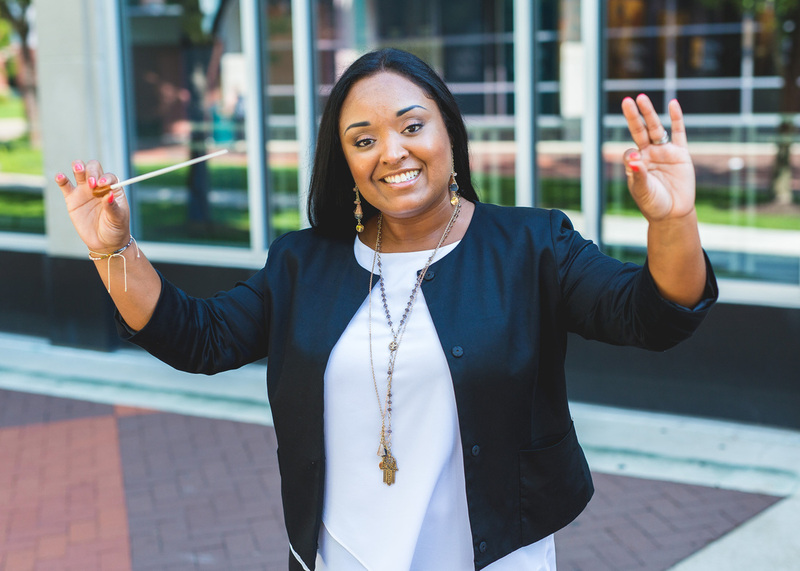 The best conductors use the baton as a visual connection of their ability to: listen, lead, and be a conduit between the evidence-based curricula and the team who brings the material to life for youth and family program participants. "A conductor's baton helps to gain focus so that the players and the conductor can become something bigger than all of them – than all of us – at the same time as feeling fully realized as individuals." BBC Culture.